When Do People Need Hearing Aid? Are you experiencing hearing loss? Don’t you find it easy to comprehend what people around you say or mumble? Well, hearing loss is a problem that can strike to anyone but its occurrence is mostly related to age. That’s why, we often see older people finding it difficult to hear what is said. The worst part is that hearing loss is mostly gradual and many fail to realize when it’s actually happening. Those who suffer from it start hearing less than they should and it happens over a period of time. The first precautionary step is to meet an ENT specialist (Ear, Nose & Throat) and get yourself tested clinically. The doctor will do an in-depth assessment or a thorough hearing examination to recommend the best treatment and help. 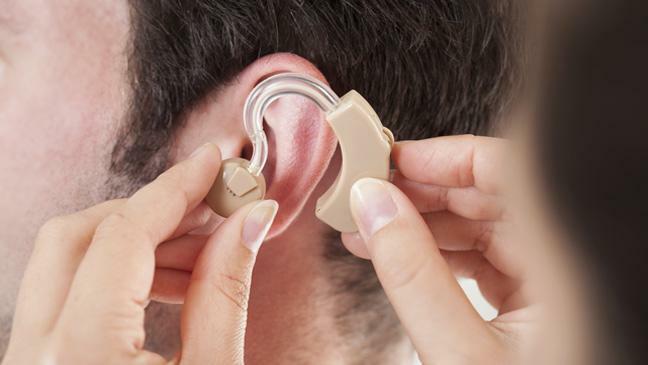 One of the options prescribed could be a hearing aid so that you are able to listen lucidly and clearly what is said. Hearing loss comes with some early warnings and signs. It may even lead to changes in behaviors in regard to hearing. You can understand those signs and get confirmed about the problem being faced. Hearing aids are the last resort to people not able to listen to things or conversation properly. These devices are a marvel of technology developed to aid in hearing. However, they won’t restore normal hearing or can’t be a substitute for normal hearing, no matter how good they are and how much advanced technology they use or how much hearing aid price you paid.